Harden and Weaver on remote on Memorial Day at The Henlopen Hotel, Rehobeth Beach, Delaware. The Senator calls for the March which is Stars and Stripes Forever in honor of all United States fallen troops. 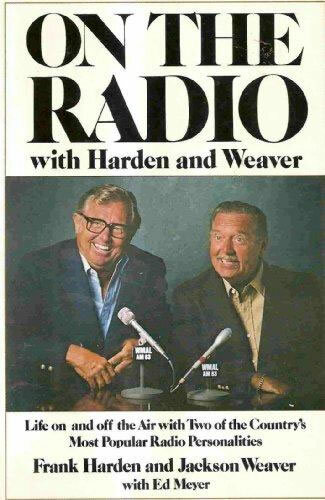 A Ockershausen: Frank, we were always taking Harden and Weaver on remote. On this particular day, we were in Rehobeth Beach, Delaware on our annual Memorial Day trek at the Henlopen Hotel. Let’s listen. Jackson Weaver: I guess that’s what counts. What’s our march this morning? Frank Harden: Stars and Stripes Forever because it’s Memorial Day and we are marching in honor of all of the fallen in all of the wars that the United States has been engaged in. Jackson Weaver: Well then, let’s start it off here. Frank Harden: Folks in the room, stand back. The Senator’s about to start the march. A Ockershausen: Absolutely incredible to have Frank Harden here live and in color. We’ll be right back and don’t turn your podcast off. You can listen to Frank Harden’s entire Our Town interview here.